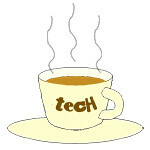 WD « Tech bytes for tea? The new portable storage drive from WD connects to smartphones, tablets, cameras and mobile devices, expanding storage without any wires or Internet access. Available in Singapore now in 1TB (S$299) and 2TB (S$399) capacities. My Passport Wireless is an easy to use Wi-Fi enabled storage drive that allows consumers to save, access and share stored content wirelessly with any smartphone, tablet, computer or other device. For the frequent business traveler, family on a road trip or creative professional working in the field – the My Passport Wireless drive is a simple way to connect all computing and mobile devices to content without any wires or Internet connection. WD My Passport Wireless is now available in Singapore in 1TB (S$299) and 2TB (S$299) capacities. Available in 1TB or 2TB models, users now have the ability to store and access up to hundreds of hours of movies and music, as well photos and other digital files, from their smartphones and tablets that are typically limited by minimal storage capacity. WD expands its surveillance-class hard drive line by shipping 3.5-inch WD Purple in 6TB capacities (S$449) for IoT “fog” surveillance environments. The inerts of the 6TB WD Purple hard drive. WD today announced the expansion of its WD Purple line of 3.5-inch hard drives for video surveillance applications, with the release of the 6 TB capacity. “Video surveillance has long been a pioneering Internet-of-Things application,” said Matt Rutledge, senior vice president and general manager of WD’s Storage Technology group. Video surveillance is a highly data-rich application within the “Internet of Things (IoT)” ecosystem. WD Purple hard drives are suitable for new and existing home and small business security system environments with up to eight hard drives and up to 32 high-definition (HD) video cameras. WD boasts the following key features for its Purple hard drives. WD’s new My Cloud gives consumers a cloud of their own, enabling home users to easily save, access and share all of their photos, videos and files from any devices, anytime – without sacrificing privacy. Prices: S$239 (2TB), S$289 (3TB) ,S$399 (4TB). WD My Cloud lets you set up your personal cloud storage in the security of your own home. WD introduced the My Cloud personal cloud solutions as a complete solution for users to organise, centralise and secure the digital content from all of their computers and mobile devices and access those files from any device, from anywhere in the world. By simply connecting a My Cloud personal cloud drive to the Internet, consumers get the anywhere, any-device access they can get from the public cloud, without having to pay monthly fees to an online cloud service provider. More importantly, they do not have to give up control of their personal data. The WD Black2 dual drive (S$459) is available in Singapore with 5-year limited warranty. WD Black2 dual drive (S$459) is available in Singapore through selected retailers and distributed by Achieva Technology Pte Ltd and Eternal Asia (S) Pte Ltd. The 2.5-inch drive pairs a 120GB SSD with a 1TB hard drive and connects through a single cable and fits into a conventional 9.5 mm slot. “Our customers told us they like our Solid State Hybrid Drive technology, but our tech savvy users asked for more control of where they store their data,” said Matt Rutledge, senior vice president of WD’s Storage Technology business unit. The dual-drive solution is targeted at consumers and service providers looking to upgrade notebooks, small form factor desktops, and single-slot and all-in-one (AIO) systems with both SSD level performance and HDD capacity. Designed for enthusiasts, creative professionals, gamers and PC builders, the WD Black2 dual drive provides improved overall drive capacity, performance, and reliability, while offering the flexibility to choose how and where their data is stored.